IndustryTap wrote about the largest US public works project in US history, The Big Dig, built in Boston between 1991 and 2006, costing $14.7 billion. Millennium Tower was planned on the heels of the Big Dig but, as we know, the “Global Economic Crisis” in 2007, brought on by the “housing bubble,” spread from the US economy around the world. As stock markets and international trade derailed, many projects big and small were put on hold. 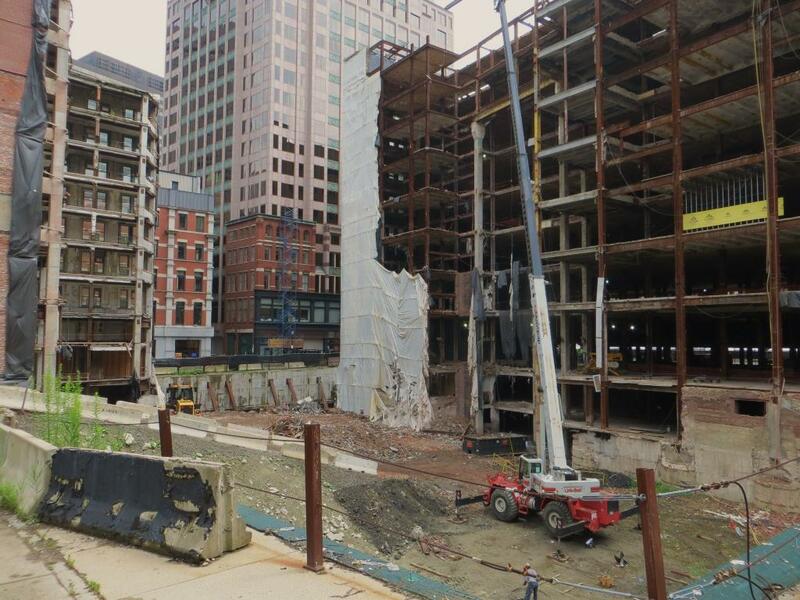 Millennium Tower was intended for the footprint of the old Filene’s Department Store at Downtown Crossing, representing the last chapter in the renovation of Boston’s Washington Street area. A huge hole in the ground remained at the site with one side of the historic Burnham Building open to the elements and wrapped in plastic for the better part of seven years. 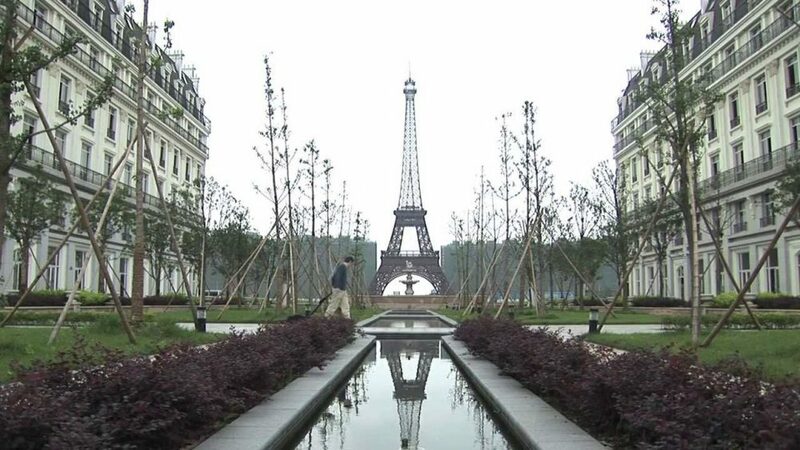 Ritz Carlton developer, Millennium Partners, announced in 2012 that it was ready to build the project. 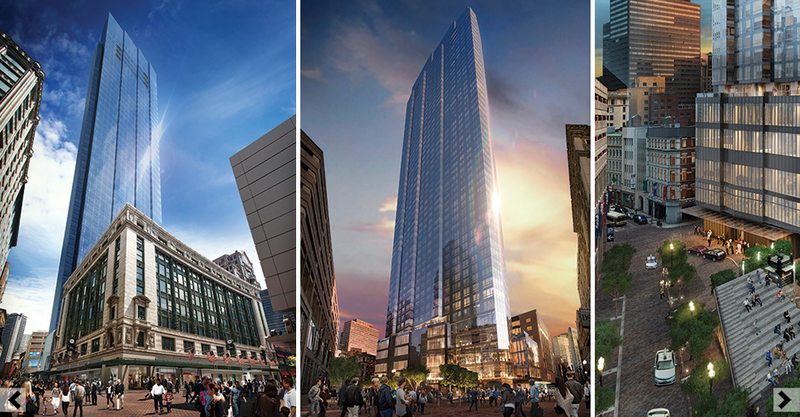 The Millennium Tower will include apartments in a very tight Boston housing market. The building will be 606 feet tall, about 55 stories tall, making it the fourth-tallest building in Boston and altering Boston’s skyline. The building will have 500 units, including condos and rentals as well as 230,000 ft.² of retail shopping on the lower floors of the entire site. Like many projects in Boston built in the footprint of an historic building, part of the façade and structure will be preserved and incorporated into a modern glass tower designed by Handle Architects.